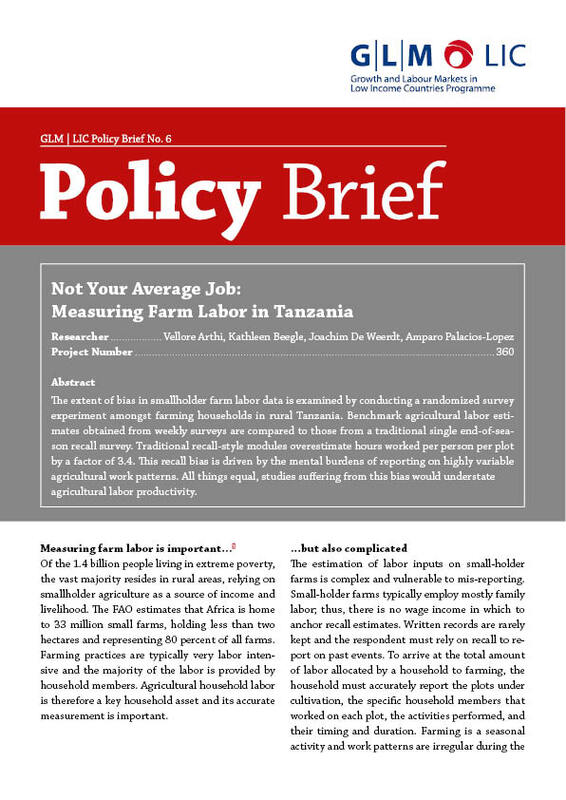 The extent of bias in smallholder farm labor data is examined by conducting a randomized survey experiment amongst farming households in rural Tanzania. Benchmark agricultural labor estimates obtained from weekly surveys are compared to those from a traditional single end-of-season recall survey. Traditional recall-style modules overestimate hours worked per person per plot by a factor of 3.4. This recall bias is driven by the mental burdens of reporting on highly variable agricultural work patterns. All things equal, studies suffering from this bias would understate agricultural labor productivity.